Two Human Hands Toasting With Beer Mugs. Happy St. Patrick S Day Lettering. Traditional Irish Hollyday Template For Pub Party. Lizenzfrei Nutzbare Vektorgrafiken, Clip Arts, Illustrationen. Image 117747190. 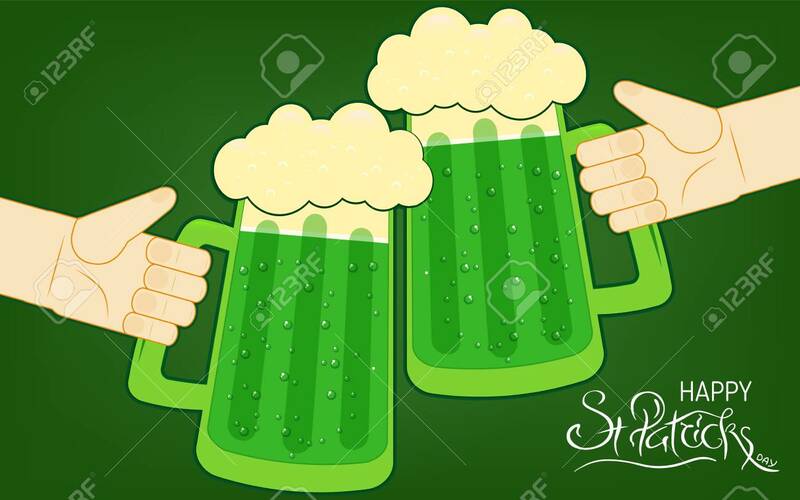 Standard-Bild - Two human hands toasting with beer mugs. Happy St. Patrick s Day lettering. Traditional Irish hollyday template for pub party. Two human hands toasting with beer mugs. Happy St. Patrick s Day lettering. Traditional Irish hollyday template for pub party.